Microsoft Lumia 640 vs Microsoft Lumia 730 vs Microsoft Lumia 540: Which Shall Prevail? Microsoft may be having a hard time penetrating the Android-infested mobile market; nonetheless, the lines of mobile devices of the brand are worthy and should be considered by mobile device users. Microsoft is also having a hard time in the mid-range Lumia category, thus releasing more compelling devices like the Lumia 540, Lumia 640, and the Lumia 730. The Microsoft Lumia 640 price Philippines is pretty close to that of the Lumia 540. However, the Lumia 730 belongs to a different price range but slight close to the 640 and the 540 as well. In this article, we are going to compare the Lumia 640, the Lumia 540, and the Microsoft Lumia 730. 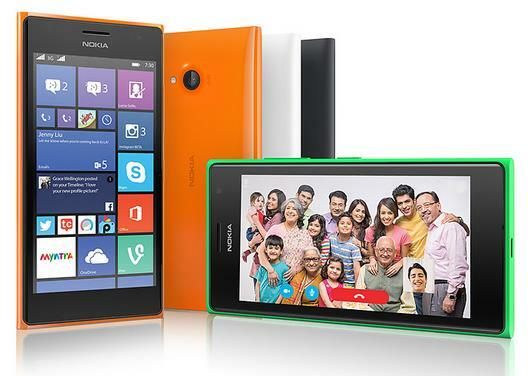 The Lumia 730 offers a smaller screen with its 4.7-inch, 720p resolution OLED display with 316 ppi. The Microsoft Lumia 640 on the other hand and the Lumia 540 both has a 5-inch screen. The Lumia 640 comes with a 720p resolution display with 294ppi. 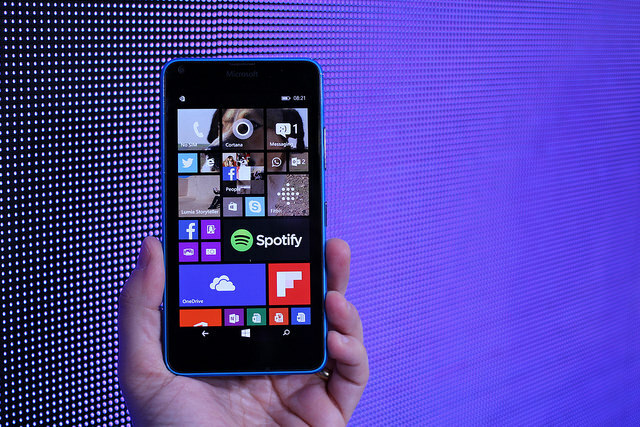 The Lumia 540 has the same specs as well except that it comes with an IPS LCD display. All three mobile devices are made of polycarbonate. All devices also feature on-screen touch buttons. The Lumia 730 and the Lumia 640 both runs with a quad-core Snapdragon 400 processor, while the Lumia 540 runs on a slower with a quad-core Snapdragon processor chip. The Lumia 540 lands on the last place when it comes to battery life with its 2200mAh battery. The Lumia 640 on the other hand has the longest battery life with a 2500mAh battery leaving the Lumia 730 not so far behind with its 2220mAh removable battery. All three mobile units has 8GB of memory and can house external memories of up to 128GB. They also fall with equal RAM at 1GB. All three models have Dual-Sim support, a must have nowadays. 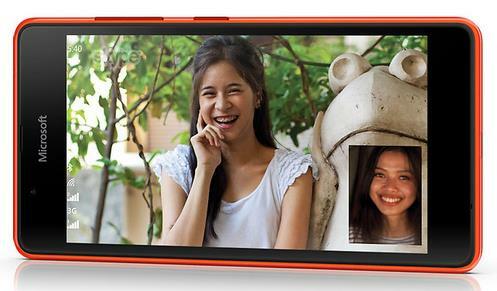 The Lumia 730 features a 6.7-megapixel camera with Zeiss optics with an aperture of f/1.9 and a 1/3.4-inch sensor. On the other hand, the Lumia 540 and the 640 both have the dame features for their rear -cameras at 8-megapixel with ¼-inch sensors and f/2.2 aperture. The Lumia 640 on the other hand falls behind for its front facing camera that only features a 0.9-megapixel camera with 720p video. The 730 and the 540 on the other hand both has selfie worthy 5-megapixel front facing cameras. The Lumia 640 tries to catch-up with its dynamic flash and rich capture, something the 540 and the 730 doesn’t have. Overall, the 640 is slightly the higher-end mobile unit compared to the 730 and the 540 except for its disappointing front-facing camera. It also features the Glance Screen and has 1080 video capture capabilities, comes with the Sensor Core an a tag price affordable to many. The 740 is a compelling package too, but if you are up for big screen mobile devices, the Lumia 640 still prevails. 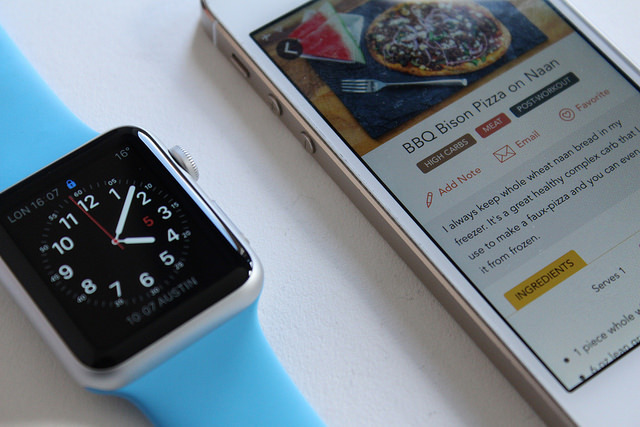 Why I Bit Into The Apple Watch; Should You Invest In Apple’s Wearable Tech? It seems the fate of the Apple Watch is still up in the air, with a few months into its release. I remember the hype and anticipation building towards the launch of Apple’s “ground-breaking” device almost a year ago, and I even seriously considered getting my hands on one before the release date. I’m thankful I waited. 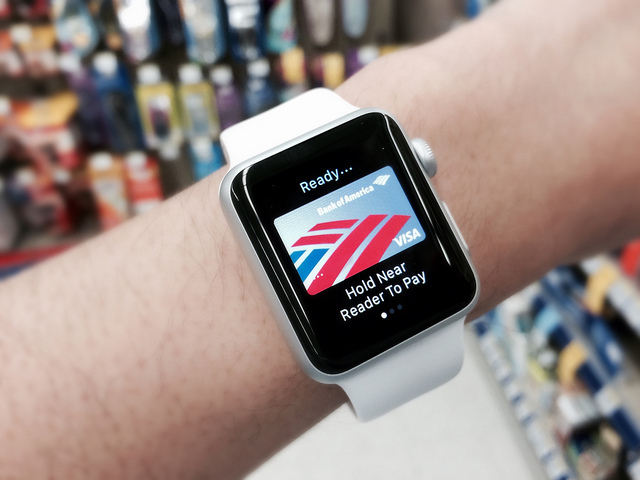 Not because the Apple Watch is a letdown, but because it’s better to wait for everything consumer tech nowadays. Motorola’s entry into wearable tech was my thermometer on the competition, and for a while the Moto 360 did wow with all its neat features. But everything’s clearer in hindsight, and I’m glad I waited this long to decide. So there’s this scuffle whether the Apple Watch has the legs to go the distance, with a considerably low sales performance upon release (according to analysts). Apple has a history of faulty launches, but that didn’t stop its solid market base from hopping into the bandwagon just the same. The first iPod released for a steep $399, which was too expensive for me at the time, considering there are plenty of alternatives in mp3 players. Also, the iPod is paired exclusively with Mac, which severely cuts down possibilities. Now I consider the iPod a solid device with dependable features. It’s not the best feature-rich product on the market, but it’ll do, and it’s more than enough for the Apple crowd. 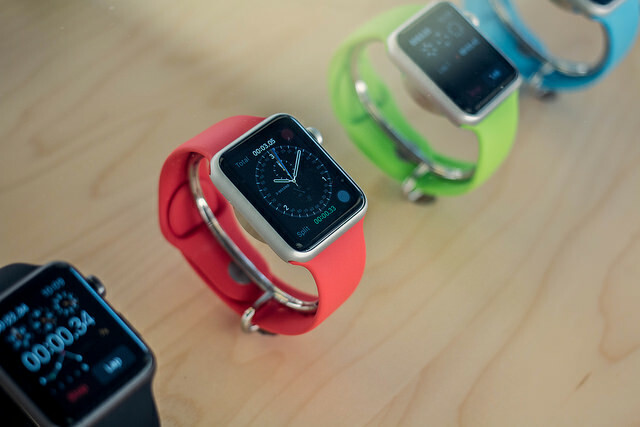 For a first-generation release, the Apple Watch is feature-packed, elegant, and compact. It has good fitness software, and pairs well with the iPhone in sending and receiving calls. One of my pet peeves with Androids and iOS devices is the battery life, though. I know all that hardware demanded battery juice, but the manufacturers should’ve come up with a more efficient battery to cover for new tech by now. The Apple Watch battery barely lasts the day with heavy use. 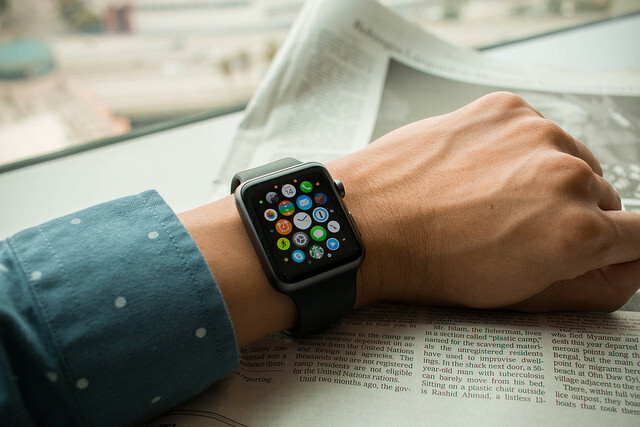 The Apple Watch received one firmware update since its April release, improving performance and reliability. It irks me to know the device comes in mid-range to high-end variations, though. Three different models, two size options, and six different finishes offer hefty variety, considering the range of interchangeable bands. Price points ranging from the considerably measly ($349) to the outright decadent ($17,000) should also ruffle the feathers of those who want to flaunt the Apple Watch as a status symbol. I can’t help but consider the device as a wearable iPod Nano, but packed with neat new features. Fitbit works great for my daily walks, also for basic notifications. It’s hardly a standalone device, though, with many features dependent on an iPhone pairing. Using the Apple Watch, I can say it’s not an essential device, at least not at the moment. I’m aware of the potential of wearable tech, but the Apple Watch is still a glorified smartphone accessory, one you can do without. It works best as a mobile assistant, designed to wean away users dependent on their iPhones, but when push comes to shove I’ll reach out for my iPhone just the same. Note that these shortcomings may be overturned when the device receives a massive update in a few months, including a new version of the OS, new watch faces, features and apps. I’ll take a pot-shot at many third-party apps currently compatible with the Apple Watch, which frustrates use instead of improves it. If you’re still on the fence whether you’ll buy in on wait it out, stay tuned to the PricePanda website for Apple Watch price while you’re undecided. Personally, I recommend you wait it out several more months, when Apple introduces its next wave of updates for its wearable tech. What’s to Look Forward To with the Vivo Xplay 5S? Vivo is considered as one of the most celebrated mobile phone brands in Malaysia. The good thing about this mobile phone is that it offers a fresh and a unique choice for people who would want to experience something new when it comes to their mobile devices. 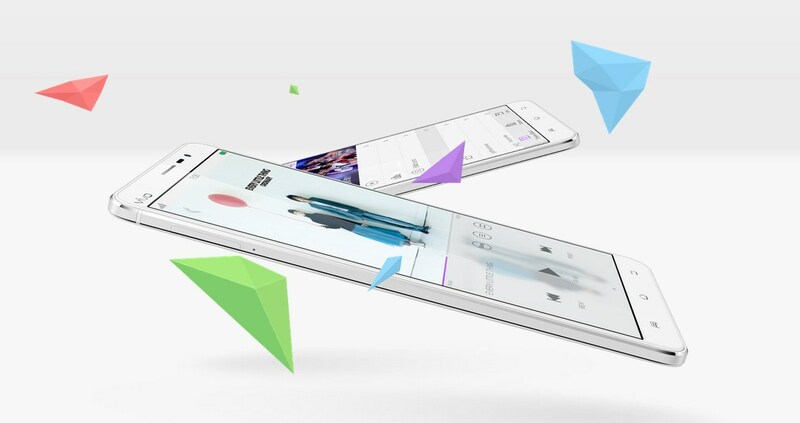 Fans of the mobile brand are already looking forward to the release of its latest flagship phone, the Vivo Xplay 5S. One of the rumoured features of this flagship phone is the fingerprint scanner that is embedded underneath the display of the phone itself. In most smartphones, the fingerprint scanner feature is usually found at the home button of the phone or on the back of the mobile device. This is the only time that the fingerprint scanner will be incorporated in the display screen of the phone itself. An external scanner like this can make the phone slimmer and stylish. It still remains unclear on who shall provide Vivo in Malaysia with the technology for such feature. Both CrucialTech and Qualcomm possess the capabilities to do such after unveiling similar technologies a few years back. As for Qualcomm, they have already achieved an ultrasonic technology that allows fingerprints to be captured and scanned in the display screen of the mobile device. If this would push through, the latest mobile phone products of Vivo in Malaysia with the onscreen fingerprint scanner will be the very first in history. The earlier released mobile flagship phone of the brand, the Vivo Xplay 3S, features QHD Display. This could possibly be the same feature for the Vivo Xplay 5S. It will have a 6-inch screen and run with the Qualcomm Snapdragon 805 clocked at 2.5GHz with 3GB of RAM and 32GB storage. It will have a rear camera of 13-megapixel and front camera of 8-megapixel. No word on when the phone will be released has been announced but a lot of Vivo fans are already looking forward for it. Another unique thing about the phone is that will feature a 2.5D curved glass that has 2560×1440, 590ppi resolution. It will also offer expandable storage of up to 128GB. As for the battery life, it will come with a 3,500 mAh battery and has a pre-installed Android 4.4.4 Kitkat together with Vivo’s Funtouch 2.0 UI on top of the Google’s operating system. It will be 5.68mm thick, an interesting feature for a mobile phone with a 3,500mAh battery. More specification and feature leaks are expected to surface for the Vivo XPlay 5S as Vivo continues to keep its release confidential to the public. Huawei Continues to Grow; Soon to Surpass Apple? Huawei is moving like it’s running a race and is really craving for the win. As it enters the international mobile industry, more surprises and impressive mobile device released are expected from the Chinese brand. Will it manage to catch up or even surpass the mobile giant Apple? One thing is for sure, Huawei has a long race to run. The mobile brand is indeed running and running fast as it heads to the IFA trade show in Berlin this coming September. It will launch a new handset but it would be unlikely the Mate 8 that has been rumored to be hitting the mobile market late this year. Rumors of the possible release of the Mate 8 this coming IFA are already making the rounds for several weeks this year. Now, it seems that a revamped version of the current Mate 7 will be launched in this event instead. The Mate 7’s price in the PH was considered as one of the most competitive ones in the market, making it a hit in the country. 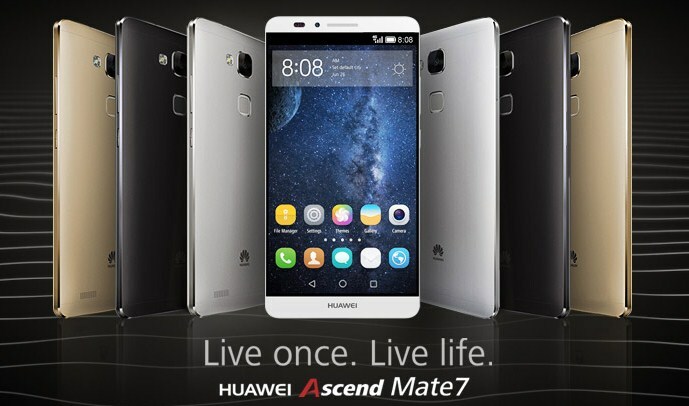 You can check out Huawei Mate 7 price in Philippines at the PricePanda website. The continuous improvement of the specifications of the Huawei phone line together with the pocket-friendly price tag attached to the unit may lead it to becoming one of the most preferred mobile brands in Asia. The new smartphone to be released in the IFA will be called the Mate 7 Plus or Mate 7 and will upgrade the specifications of the current version. The Mate 7 Plus will feature the brand’s Kirin processor and is also expected to arrive with a Kirin 950 chip under its hood. But the chip may arrive by October making the Mate 8 the possible unit to take advantage of the wonders the Kirin 950 offers. 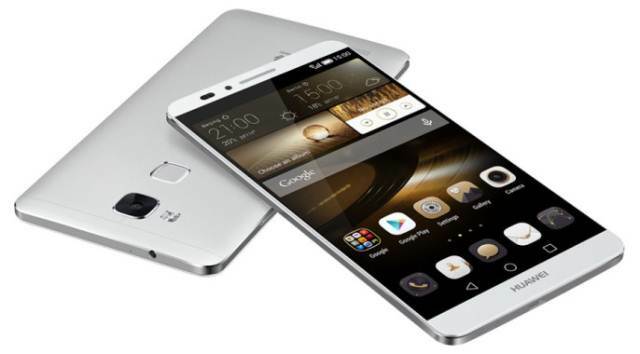 As for the sales performance of the brand, the China-based Huawei group had a healthy first half for 2015. Huawei caters both mobile devices and telecommunication equipment. It has managed to generate 175.9 billion Yuan or about $28.3 billion in revenue for the first six months of 2015. The amount soared 30% compared to the brand’s performance in the first 6 months of 2014. Its operating revenue, on the other hand stood, at 18 percent. The net income of the company was not revealed by Huawei. The good thing about the Huawei brand is that it managed to emerge as a much preferred brand compared to Ericsson and Nokia, its notable contemporaries. It will not be a surprise if the brand becomes one of the top competitors of Apple as well. Several great smartphones are already dominating the market. There are really a lot of choices that would fit your budget and needs. However, with the great selection, finding the perfect one can be a real challenge. Two of the most popular brands/models in the mobile market nowadays are the Apple iPhone and the Samsung Galaxy. 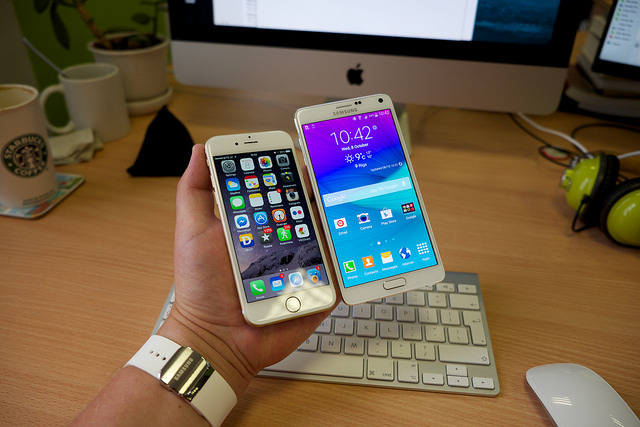 Let us check out and compare the Apple iPhone 5S and the Samsung Galaxy S5. There are so many definitions when it comes to a great Smartphone. These two are just some of the best examples. One features a smaller screen (compared to today’s latest standards), premium-built, and a hardware and software that offer superb user experience. The other one is much bigger, features a spacious screen with a plastic finish and eye-catching aesthetics. In the end, it would all go down to a phone that works better for you. 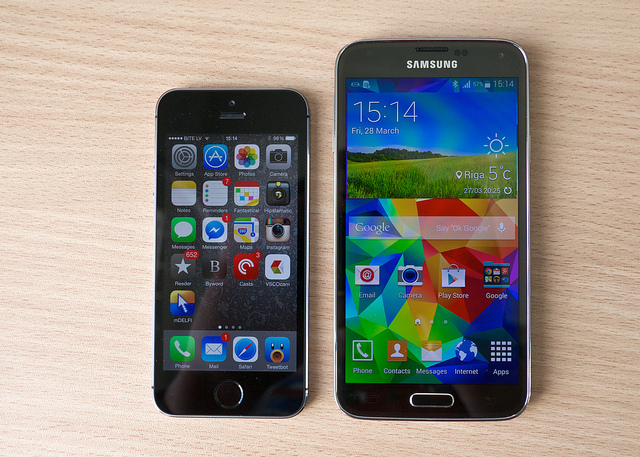 So what will it be, the Apple iPhone 5S or the Samsung Galaxy S5? 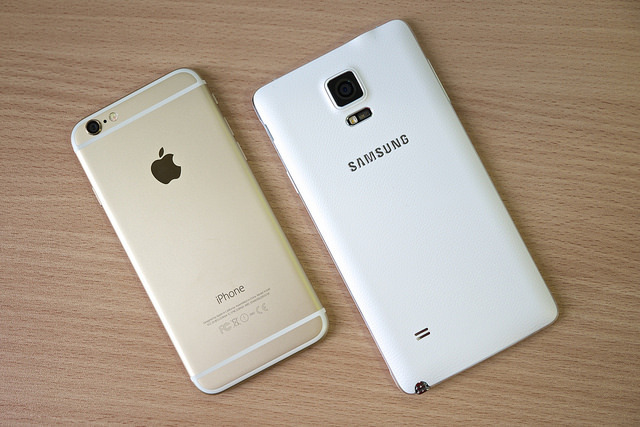 You can immediately see the difference between the Apple 5 16GB and the Samsung Galaxy S5. The later is longer by 15%, 24% wider, and 7% thicker than the iPhone 5S. The Apple iPhone 5S offers easy grip on the hand, while the S5 requires you to stretch a little bit to get a good grip on the body. Apple has since been known as a design-driven company. This is what the iPhone 5S is all about. Appearance-wise, it looks almost identical with its predecessor, the iPhone 5. 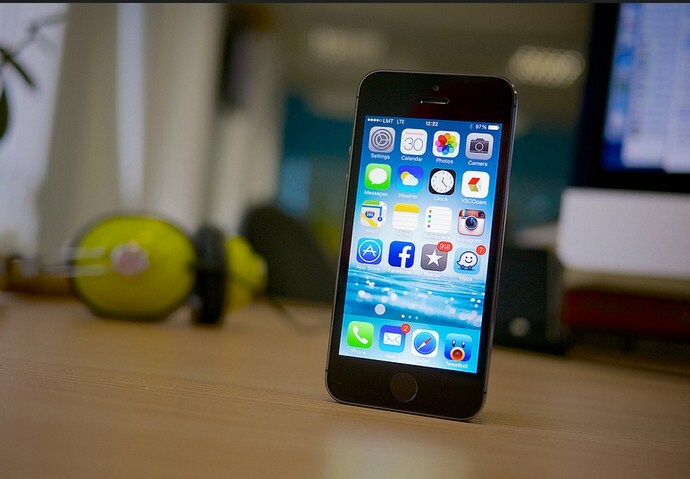 The iPhone 5S, however, offers a phone that feels premium and high-end compared to the GS5. The plastic look that the Samsung Galaxy S5 makes it looks like the part — plastic. A less preferred model when you consider aesthetic as a major factor in choosing your mobile device. Nothing is wrong with having plastic parts. It just brings down the premium feel of the phone which happens to be in the premium category in the market. The iPhone looks like it was carefully and intricately crafted from a piece of aluminium. The Samsung Galaxy S5 also looks like that, from afar, but as you go closer, the plastic material becomes very evident. Screen and display wise, the Galaxy S5’s display is big and beyond beautiful. Diagonally, it measures 5.1 inches with 1920 x 1080 resolution. The iPhone 5S on the other hand has a 4-inch screen with a 1920 x 1080 resolution. The iPhone gives you 62% as much screen as compared to the S5. If maximum screen and maximum crispness is your mission, the Samsung Galaxy S5 is a clear choice. Camera-wise, both phones feature great cameras. The S5 takes pictures in a higher resolution with its 16MP camera compared to the iPhone 5S’s 8MP. However, there is a slight pause when you open the S5’s camera from the lock screen. With the iPhone 5S, it will only take 2.5 seconds to access the camera application from the lock screen. Camera, specs, design — these are just a few of the basic things we consider in picking a mobile device to satisfy our needs. Again, one size does not fit all. You may love the G5’s camera but hate its plastic finish. The iPhone 5S’s sleek look may give you a less impressive selfie. In the end, people have different taste, which makes choosing so exciting. If you want to check out Apple iPhone 5S and Samsung Galaxy S5, see up-to-date market prices via PricePanda. 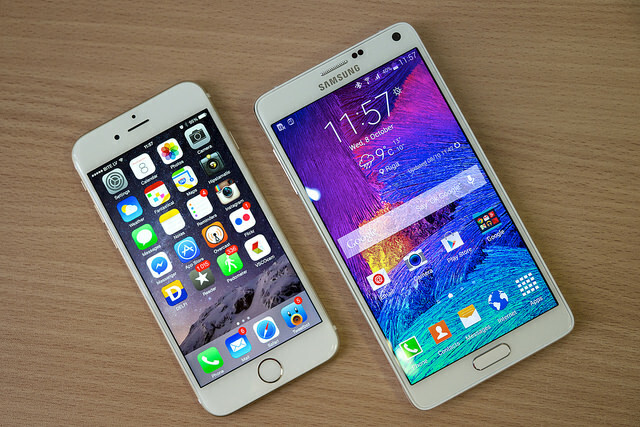 Two of the hottest phones available in the mobile market today are the Apple iPhone 6 and the Galaxy Note 4. Both have their individual strengths and weaknesses, but in my own humble opinion, the Samsung Galaxy Note 4 outperforms the iPhone 6 in so many ways. The Note 4 and the iPhone 6 are both high-end and cutting edge devices packed with remarkable internals and features. Neither of the 2 is perfect and complete in their own unique ways but I see the Note 4 having the edge over the iPhone 6. The following is a list of the five things the Samsung Galaxy Note 4 does that the iPhone 6 can’t do, or at least doesn’t meet my expectations. The Apple iPhone 6 didn’t manage to introduce something as great at the Samsung S Pen. When the Samsung Galaxy Note phone series was announced back in 2011, its most defining feature was its size. The line was one of the earliest versions of the phablet that became available for those who enjoy having big screens for their mobile devices. Although Apple managed to produce a mobile device with the same size (iPhone 6 Plus), it did not come with the easy-to-use S pen. What’s great about the Samsung Galaxy Note 4 is its multitasking feature. You can view and access several applications at the same time. The Pop Up View Shortcut lets you shrink several compatible Samsung applications into smaller windows and drag them around the screen where you want them displayed. You can continue working with the other applications on the screen. Simply tap the circle log to collapse and reopen applications. With a simple snap off the back of the Galaxy Note 4 back cover, you could simply remove its battery pack and place a new one. The Galaxy Note 4 comes with a large battery with 3,220 mAh that offers an impressive 37 hours of standby time and 11 hours when continuously used together with the internet. Even with the promising battery hours the phone offers, having an extra battery pack seems necessary for someone who enjoys travelling like I do. This is something that the Apple iPhone 6 lacks. What comes with the removable battery pack is a battery that can be charged fast and a device that has capabilities to maximize its battery life even if your phone is almost dead. The Galaxy Note 4 comes with the Adaptive Fast Charging feature that allows you to charge your device in just 30 minutes. That is the time you spend inside the bathroom every morning or maybe time you spend in the shower and eating breakfast. The only catch is you have to use a compatible micro USB port for charging to power it and sync it up. The device ships with the Adaptive Fast Charging charger so you have nothing to worry about. As for the price, the Samsung Note price in Singapore is way more affordable than the iPhone 6. There is about a $200 difference between the two gadgets. You can compare latest market prices via PricePanda. I do love my iPhone 6, its high-end camera and the features that comes with it. I just so happen to love my Note 4 more. 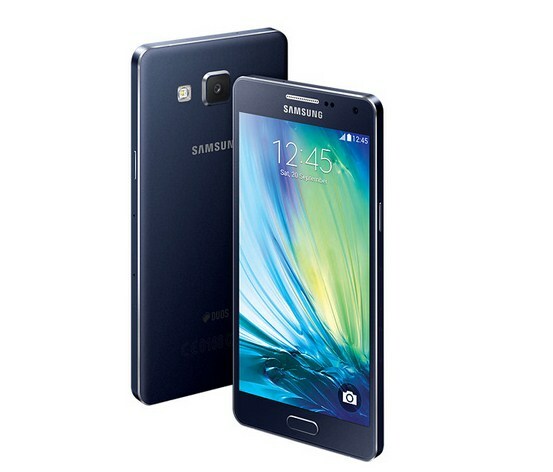 The Battle of the Samsung Galaxy A5, A7, and A8: Which phone is the best for your needs? 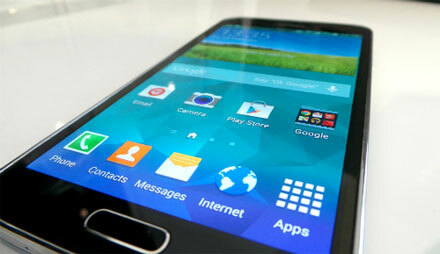 The metallic and sleek looking A-series of Samsung has finally made its touchdown in the mobile industry. With the announcement of the Galaxy A8 against its slimmer and smaller Galaxy A7 as well as the smaller Galaxy A5 line in the A-series, fans of the Android giant can’t help but compare what these three new models offers. Samsung really put into consideration the compact chassis featured in this trio. The Galaxy A7 was originally the most compact metal Android for its screen size but with the release of the Galaxy A8, the A7’s screen size is now shed by the 5.9mm body featured in the A8, this by far is the thinnest model Samsung has ever produced. The Galaxy A8 is also taller than the A7 allowing it to fit a 5.7-inch screen compared to the 5.5-inch screen that the A7 has. The A8 also comes with the unique fingerprint scanner in the home key just below the display. The A8 also features a 10 gram heavier weight over the other two mobile units and can be considered as the middle child in the Android trio. On the other hand, the Galaxy A5 is the most manageable among the three Alpha series. It also the most affordable among the three but the specifications of the two other A-series are better. The A5 features a HD panel while the A7 and the A8 features 1080p screens. 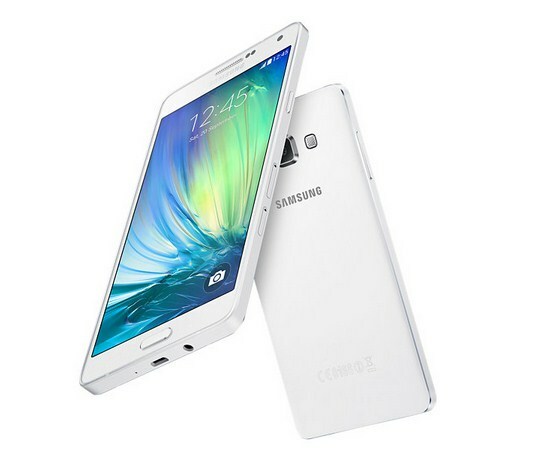 The Galaxy A5 runs of an octa-core Snapdragon 6156 chipset with multiband LTE connectivity. All the three phones posses 2GB of RAM, comes in 16/32 GB storage models and has a microSD slots for expansions. The A7 and the A5 features 13-megapixel rear cameras while the A8 is equipped with a 16MP ISOCELL shooter. The Samsung Galaxy A5 Malaysia may come as a lesser premium version compared to the A8 but the pocket-friendly price tag attached to the sleek unit makes it a great buy. Comparison shopping sites like PricePanda can give you an idea on how much this beauty is worth and if it work with your budgets accordingly. But as expected, the A7 and A5 lack the 3050mAh battery featured in the sub-6mm chassis of the Galaxy A8. No official pricing for the A8 has been released yet but the leaks so far indicates that it may go along the $500 off-contract price or something below $600. A leaked video of the Samsung Galaxy A8 is featured below.